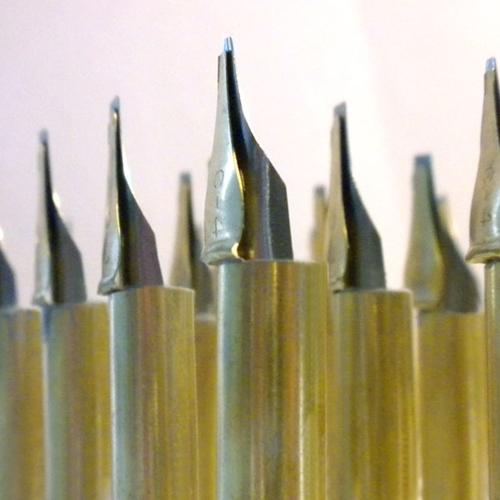 Our Hot Pen Point Attachments have revolutionized the process of applying wax paint in thin lines. 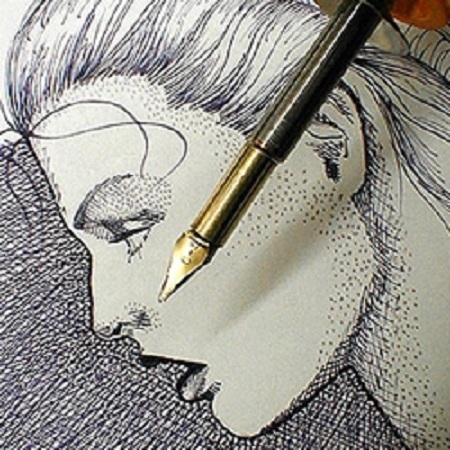 They can be used to create a broad spectrum of line widths; from a hairline to a very broad stroke. The brass pen tip is kept hot by the wax pen and the temperature regulator will allow you to find the optimum temperature for each pen size and color. The heated pen tip will allow you to draw with liquid wax paint at your leisure without rushing to apply color before the wax cools. 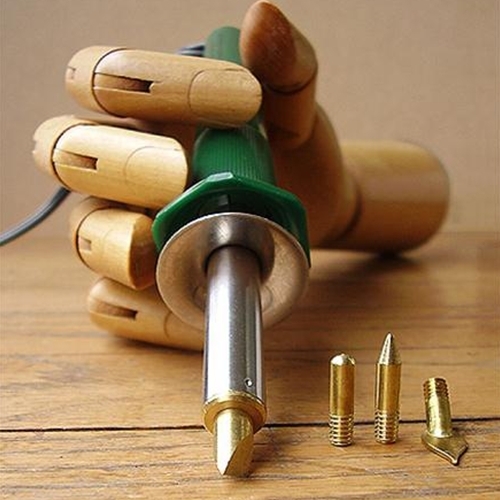 All wood burning type tools MUST be used with a temperature regulator for encaustic painting. When plugged directly into the wall, they will get hot enough to burn through wood- and it will also be hot enough to burn the beeswax in your encaustic paints. The Hot Brush is an attachment for the temperature-regulated Enkaustikos Wax Pen. 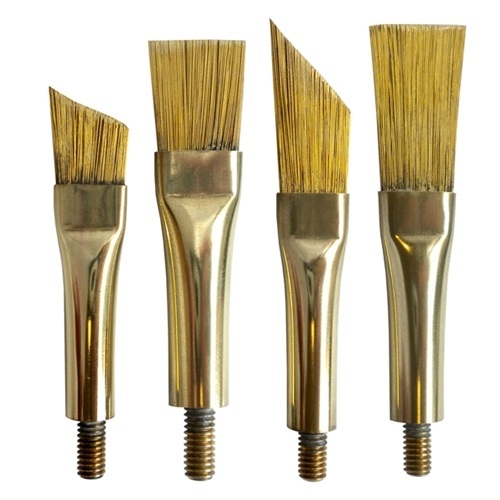 Like the Classic Brush, this brush is also handcrafted with solid brass filaments and brass ferrules. The Hot Brush is ideal for applying thin transparent layers. Encaustic paint cools almost immediately, allowing multiple layers to be applied rapidly. Furthermore, these layers will not mix unless it is the intention of the artist to work them into each other using the heated filaments. 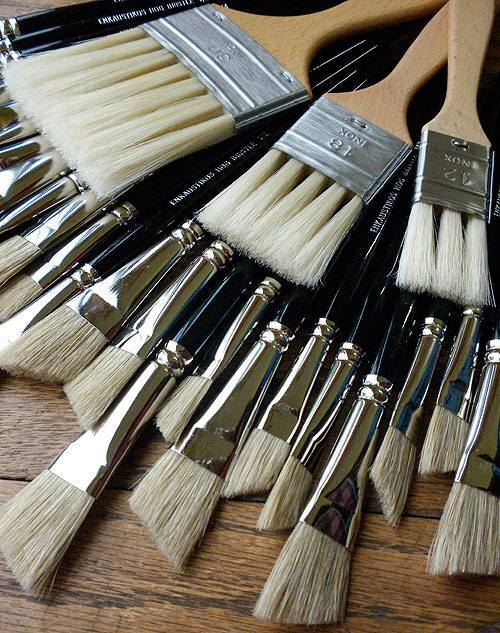 This hog bristle brush has a shortened handle to make it more practical for encaustic painters. The overall length from tip to tip is 8-1/2". The unusual angled shape makes this brush ideal for cutting in close lines and the broad end is great for laying down color. The thickness of the bristles is perfectly suitable for use in hot wax paint and fortunately, the bristles heat quickly to work the color effectively. However keep in mind, that like any other natural hair brush, be careful not to singe or burn the bristles while using hot air assist. These metal cans are perfect for mixing encaustic paint. The lids ensure that your paint stays clean and dust free. Solid metal, so you can put them directly on your hot palette. 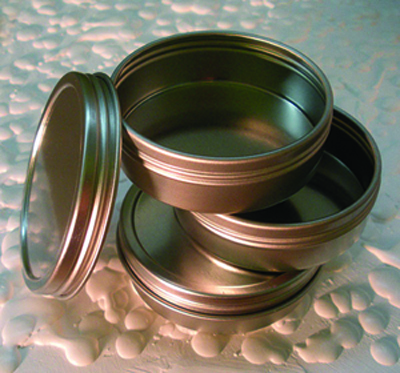 They also made ideal storage tins for small items and art supplies. This is a must if you plan on using the Enkaustikos Wax Pen Hot Tips, Hot Brush attachments, Pen Points, or Wax Writers. Why is that? 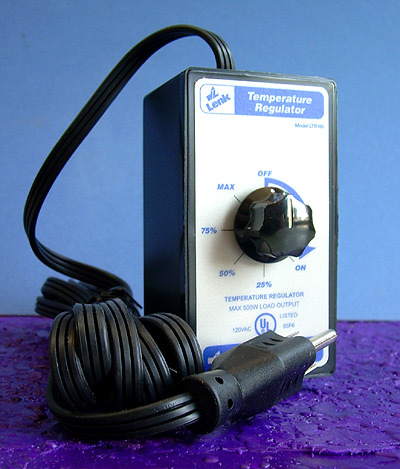 This Temperature Regulator controls the temperature of the Enkaustikos Hot Wax Pen to the exact temperature that you need when working in encaustics to prevent burning through the paint.